A leading, board certified Oral and Maxillofacial surgeon, Dr. Stein is one of a handful of oral and facial surgeons in the New York area to earn both dental and medical degrees. With more than 20 years experience in oral and maxillofacial surgery, Dr. Stein is an accomplished and skilled physician dedicated to providing the gold-standard in patient care. He earned degrees from both New Jersey Medical School and New York University College of Dentistry, where he won several awards, including the top oral surgery prize in the United States for the American Dental Association National Basic Science Competition. Dr. Stein was also honored with the prestigious American Association of Oral & Maxillofacial Surgery Outstanding Achievement Award. 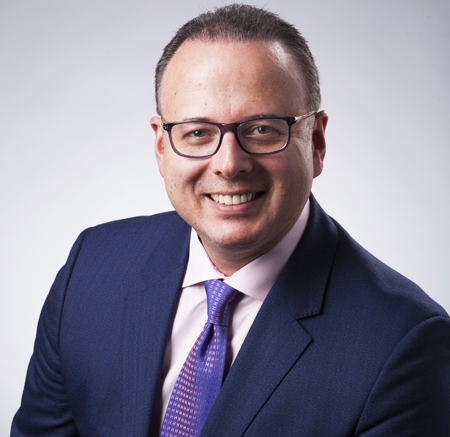 Dr. Stein completed his training in oral and maxillofacial surgery at the University of Medicine and Dentistry of New Jersey during an intensive six-year residency program. With specialized additional training in bone grafting techniques and cosmetic facial surgery, Dr. Stein also served as Chief Resident of Oral & Maxillofacial Surgery. Dr. Mark Stein has extensive expertise in the treatment planning and surgical placement of dental implants, placing more than 7,000 dental implants during his career. Led by Dr. Stein, the Dental Implant Center at New York Oral & Maxillofacial Surgery is involved in multiple dental implant studies designed to develop the most sophisticated procedures and foster the highest level of patient care in the dental implant discipline. In addition to his highly successful private practice, Dr. Stein has also been an Assistant Professor of Oral & Maxillofacial Surgery at New York University and an Attending Physician at Staten Island University Hospital, Beth Israel Medical Center, and New York Eye and Ear Infirmary where he is actively involved in resident training and education in the Dentistry and Surgery department. Dr. Stein is a member of numerous national and local medical and dental associations, as well as the OKU Honor Society, the Academy of Osseointegration, and the American Association of Oral Maxillofacial Surgery. A past president of the Richmond County Dental Society, Dr. Stein regularly lectures on a wide range of oral, and maxillofacial surgery topics, including dental implants, bone grafting, and facial reconstruction. He has been named a Super Specialist by the New York Times in the field of Oral and Maxillofacial surgery. What should I do if I am afraid of the dentist?